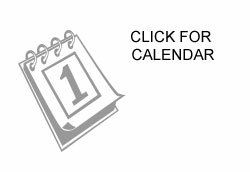 The Peterson Brothers dazzled with amazing blues, soul, funk fusion. 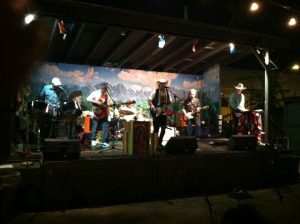 Cecil & Floyd brought the Calypso and the Boogie! 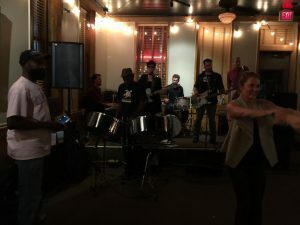 Rosie Flores rocked the dance floor with Victor Ziolkowski (Drums), Christopher Rhoades (Bass), Tjarroo Bonta (Keyboards), Tom Robinson (Sax), and Cecil Francis (Steelpan). Adam Temple shared his exceptionally versatile guitar talent playing Calypso with Cecil. Leeann Atherton sang with our kids. 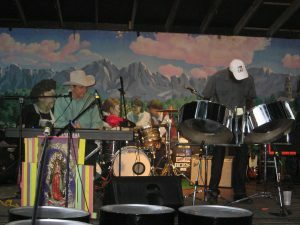 Cecil and Floyd added their hot spice to our guest artist Joe King Carasco’s Tex-Mex rock ‘n’ roll band mix. The Tropical Hat contest winner took the cupcake, Whole Foods Market’s fantastic tropical hat cupcake! 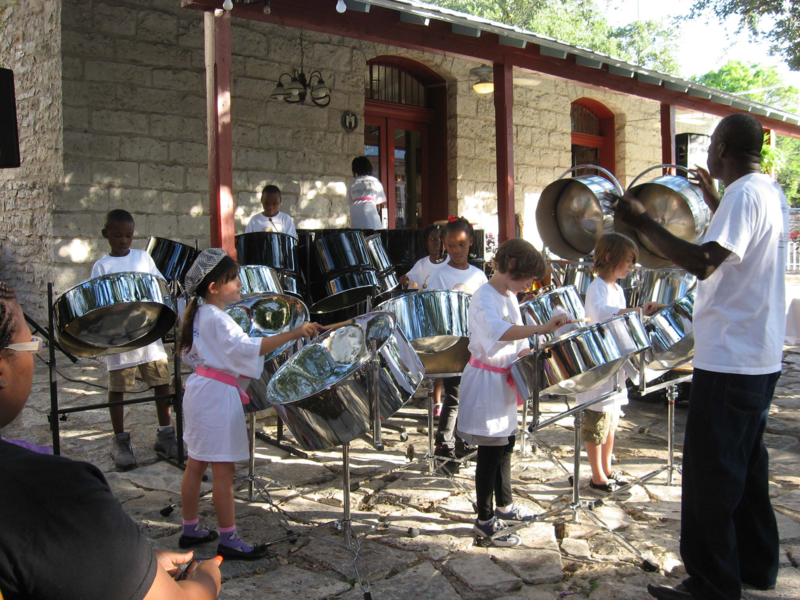 Our kids’ steelbands welcomed everyone, followed by Cecil and Floyd’s blazing steelpan-piano. Guest artists Beto Y Los Fairlanes had everybody on the dance floor! The kids’ steelband played with Cecil and Floyd and a band of professional musicians. 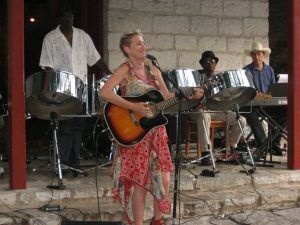 Eliza Gilkyson captivated the audience singing the tunes her father Terry Gilkyson wrote, the well-known calypso “Mary Ann”, and “The Bare Necessities” from Disney’s “The Jungle Book”. Our amazing Steelband kids stole the show. 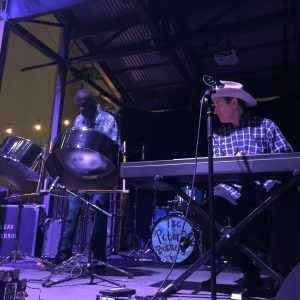 Austin Community Steelband gained some of our most ardent fans and supporters that night!